André Uitterlinden is Professor of Complex Genetics at the Erasmus Medical Centre in Rotterdam – The Netherlands – where he holds positions in 3 departments: Internal Medicine, Epidemiology, and Clinical Chemistry. His research is focusing on genetic factors for common traits and disease, including anthropometry, endocrine traits & disorders, and locomotor disease such as osteoporosis and osteoarthritis. At Erasmus MC he is also heading the Genomics Core Facility, which is one of Europe’s largest genomics facility. It provides services for DNA isolation, genotyping and sequencing, and is the coordinating center for the European GSA consortium handling >850.000 samples for array genotyping. As a PI (Principal Investigator) and member of the MT, he is coordinating molecular genetic analyses in 2 major cohort studies at Erasmus MC: the Rotterdam Study (20,000 elderly subjects) and the Generation R birth-cohort (n=10,000 children +15,000 parents). He is collaborating with many (large) international epidemiological study populations and involved in several consortia, e.g., GEFOS, Reprogen, CHARGE, GIANT, MiBioGen. 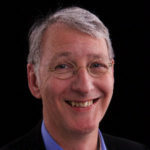 He is a member of the Research Steering Committee of the CHARGE consortium and was director of the Netherlands Consortium for Healthy Aging (NCHA). He has co-authored over 1060 papers (H-index 125) and is leading annual courses on complex genetics at Erasmus MC.